Tófi <kitu>'s son placed ... ..., his partner, Þorgnyr's foster-son. 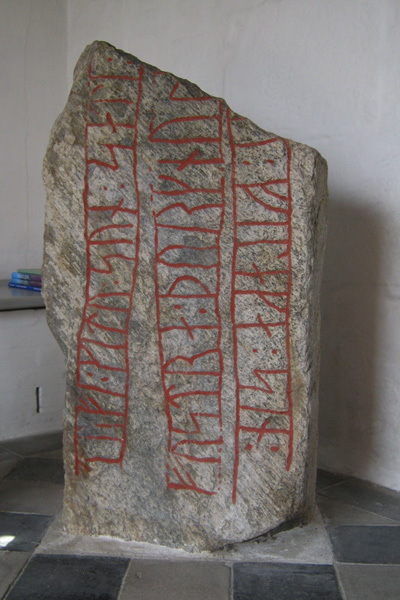 This rune stone is standing in the porch of Dalbyover church. Arild sent me the picture - THANKS !